There’s a lot to love about Canggu, a chilled-out tourist area of Bali found 20 minutes north of Seminyak. I’ve been twice now (first time in Feb 2016 and again in late 2017) and a lot changed in that time. That’s not necessarily a bad thing, indeed some of the new additions (hello The Lawn and Spring Day Spa) are some of my favourite things to do in Canggu. This is definitely an area in flux though, so maybe go sooner rather than later to see what all the fuss is about! 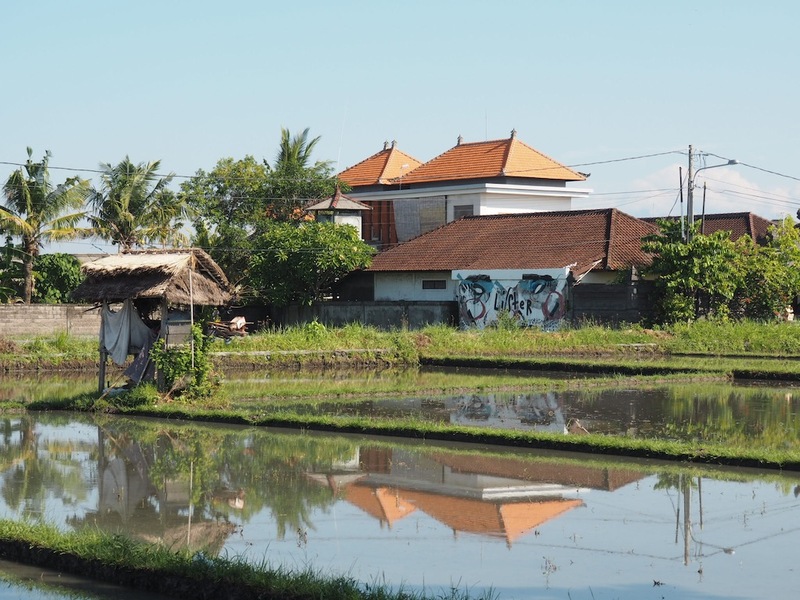 The beauty of Canggu is that the area is divided into 3 main drags that are interspersed with rice fields, restaurants and villas. 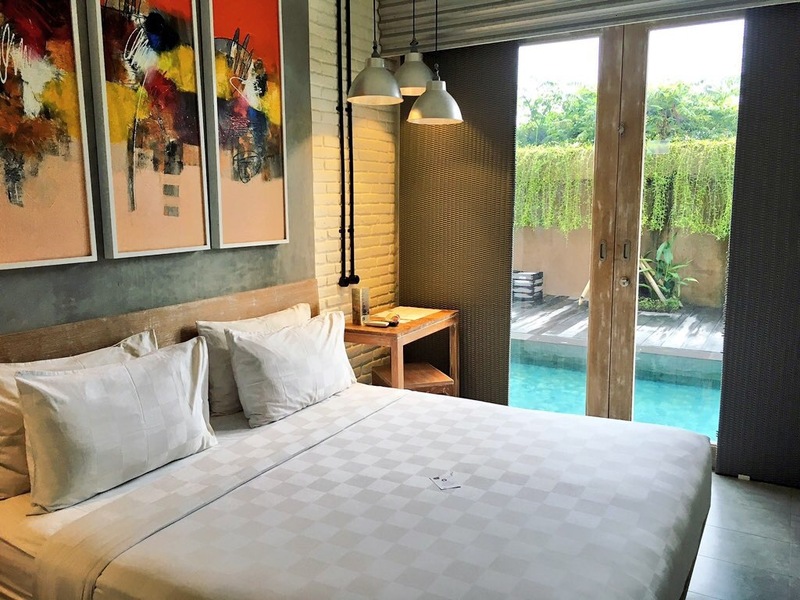 There are hardly any large hotels in Canggu (although some are rumoured to be coming) and most tourists stay in private villas or boutique accommodation. As the restaurants, spas and shops are spread out between the different axis there’s not one hectic main drag, and not a single hawker to hassle you. Lots of people come to Canggu for the surf. I’m not skilled in that area but the three main surf breaks are at Old Mans, Echo Beach and Berawa Beach. There are a couple of different surf schools if you want to take lessons. The Chillhouse is a much-loved surf, bike and yoga retreat. You can also drop into yoga, Pilates and boxfit classes at Balifit Canggu. I prefer to spend my time at the beach sipping cocktails and that’s why you’ll find me at The Lawn, particularly at sunset when the sky turns purple and the sun dips into the sea. 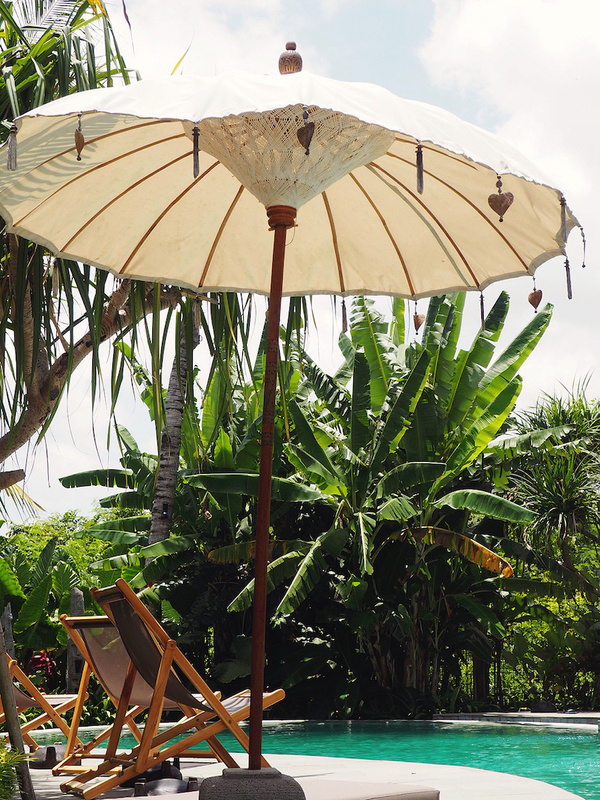 Another great thing to do in Canggu is get a Balinese massage (obviously!). Spring is a super chic day spa with reasonable prices considering how well they treat you. They get booked up quickly so stick your head in a day or so before to get a reservation. An alternative near Echo Beach is Therapy. I had a luxury pedicure here (300k Rp for 60 minutes) and they sat me in a huge comfy chair in front of a water feature as the lady sweetly massaged, exfoliated, buffed and painted my ugly tootsies. At the end of the treatment they handed me a goody bag with a nail file and buffer so I could keep up the good work at home. 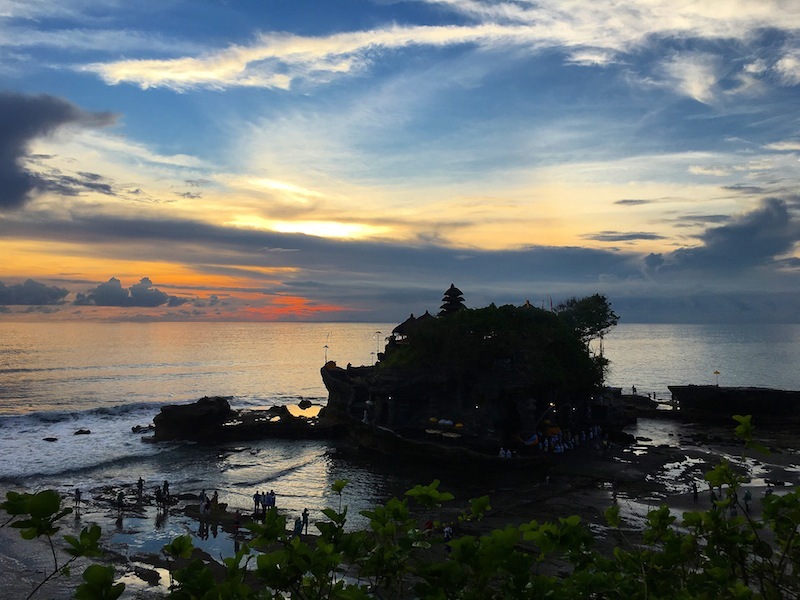 About 20 minutes outside of Canggu is one of Bali’s most popular temples Tanah Lot. Tanah Lot sits on a rock separated from the mainland and is a popular spot to watch sunset – there’s a whole viewing terrace where you’ll find restaurants serving cold beer and fresh coconuts to go with the view. There’s also a lot of souvenir stalls so if the boutiques in Canggu are a little out of your budget you’ll find some bargains here. You are certainly not short of great places to eat in Canggu. 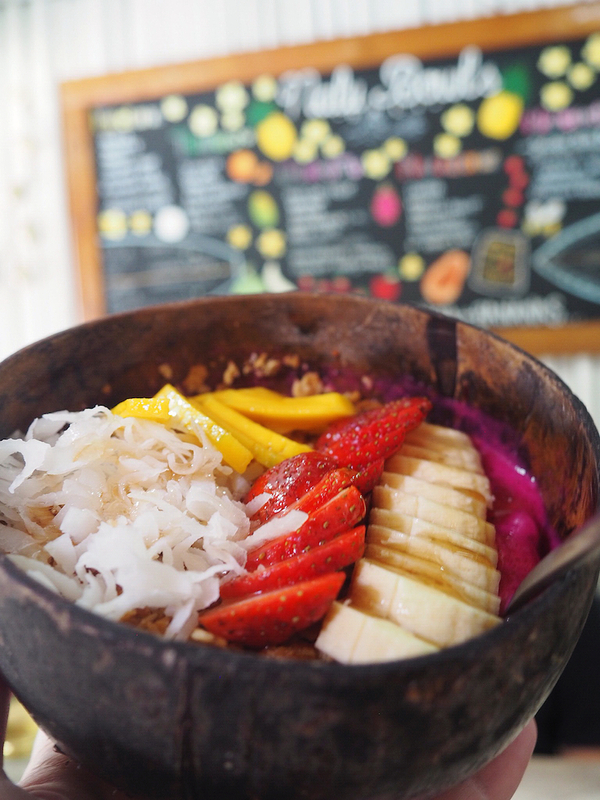 From rainbow-coloured breakfast bowls to organic salads, the health food scene is strong in Canggu. Icky subject I know but click here for tips on avoiding Bali Belly! Betelnut Cafe – Betelnut serve the most delicious salads and raw desserts with rustic wooden tables to match the rural views. (Or at least they did until some development started in the field opposite.) They also serve a delicious range of local coffee and sweet chai lattes. 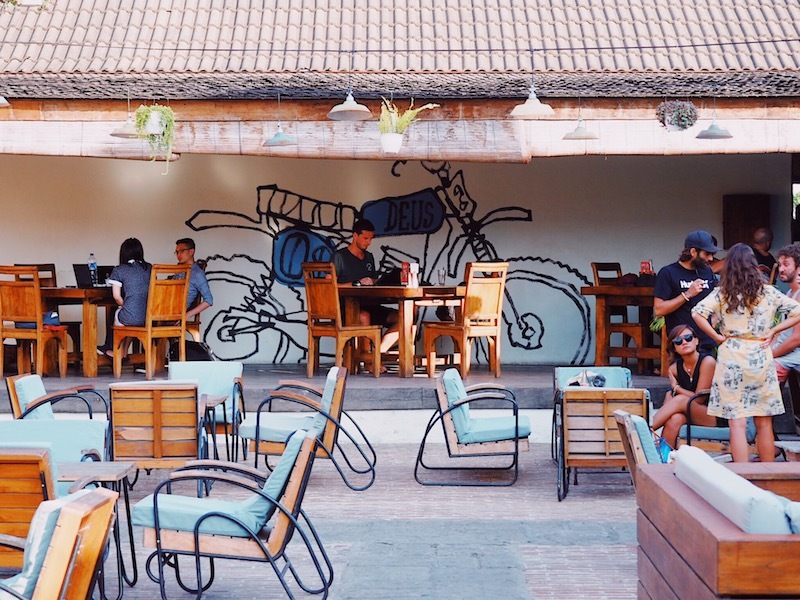 Crate Cafe – Crate is one of the trendiest hangouts in Canggu. You’ll see surfers queueing for coffee on their way to hit the beach and ‘digital nomads’ like myself rocking up with laptops and ordering lattes. The food menu is pretty good here too. I enjoyed the tongue-in-cheek ‘hipster breakfast bowl ‘as well as some of the freshly baked goods found on the counter. Little Flinders Cafe – Hands down the best coffee in Canggu is found at Little Flinders Cafe (perhaps I’m biased due to the Melbourne connection.) They had just opened on my first visit but were firmly established when I went back and had added a breakfast bowl to their menu to rival Nalus. They’ve also added a little nail bar onto the side of the cafe, which is a comfy place to get a quick mani. 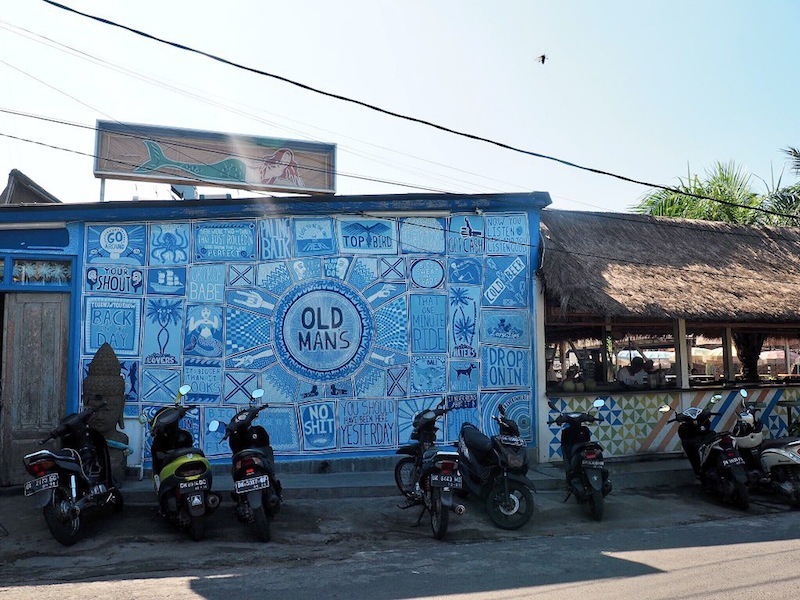 Old Man’s – THE place to grab a beer after you’ve enjoyed the breaks in Canggu is Old Man’s beachside bar and restaurant. As one of the biggest drinking venues in Canggu, you can guarantee a good atmosphere and some eye-candy on pretty much any day of the week. The food is pretty well priced too, so if you’re looking for a quick and easy Nasi Goreng this is the place to get it. 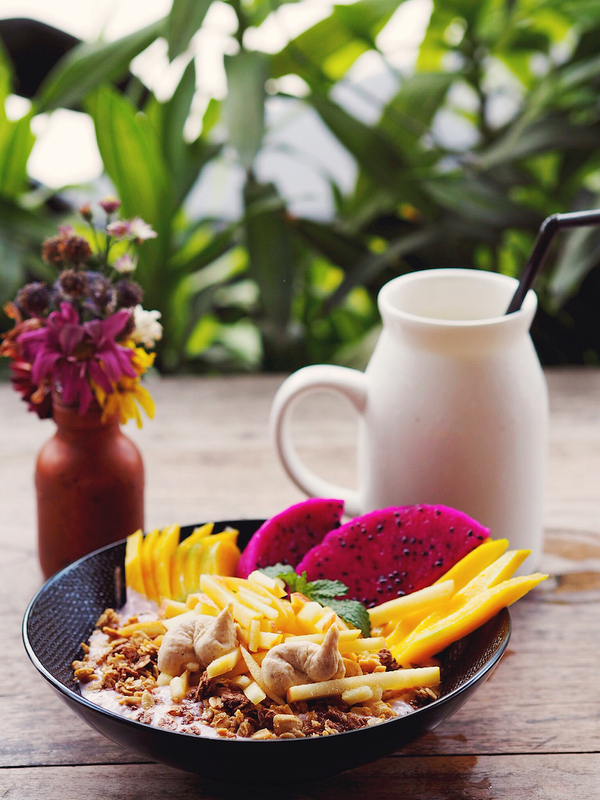 Check out this foodie’s guide to Canggu by my friend Midnight Blue Elephant for more great eats. Deus Ex Machina Temple Of Enthusiasm – so the Temple Of Enthusiasm is way more than a shop but I include it here because I think the lads will like the motorcycle and surf inspired fashions. You can also stop for coffee, tacos, Thai food and tattoos at this one-stop-shop. 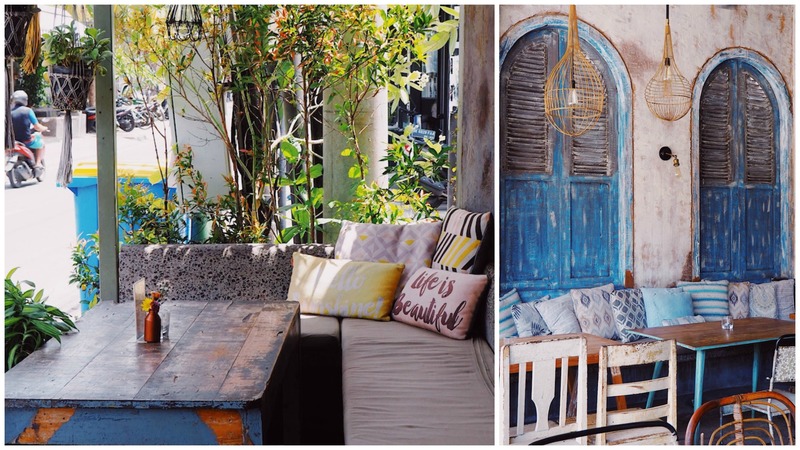 Asmara – I discovered Bali-based label Mr & Mrs Wardrobe at Asmara in Canggu and was then delighted to spot two of their own stores in Ubud. If you’re looking for some beach-chic kaftans and beaded sundresses, Asmara is the place to shop. I thought the prices were pretty reasonable (around $70AU/£35UK per dress) considering the quality and uniqueness of the items. I’ve got a couple of places I can personally recommend to stay in Canggu based on my experience. The first is Frii Bali Echo Beach, which is a super well-priced boutique hotel with pool access rooms and a rooftop restaurant. Frii is popular with a younger crowd, especially the surfers, but I stayed as a solo traveller and it was a great place to make friends. If you’re staying longer and would like a bit more space to spread out (and maybe even self-cater) then the Canggu Beach Apartments are a fab option. These shiny new apartments are superbly located, minutes from The Lawn, The Spring, Little Flinders etc, and are chicly decorated. There’s a laid-back pool area that you may have all to yourself, decent wi-fi and they even offer grocery delivery. Planning to head to Canggu soon? Let me know in the comments. I might be going back too! Glad to see that people enjoyed staying in Cangu as much as I did, even though it’s not touristy or has a beach. Love your site! Well that was good timing! Hopefully this has been a good taster. Enjoy! It is so timely for me to read your post today! We are considering basing ourselves in Bali for about three months and the beach is a must have. Your post has definitely added lots of positives for Canggu as our base! 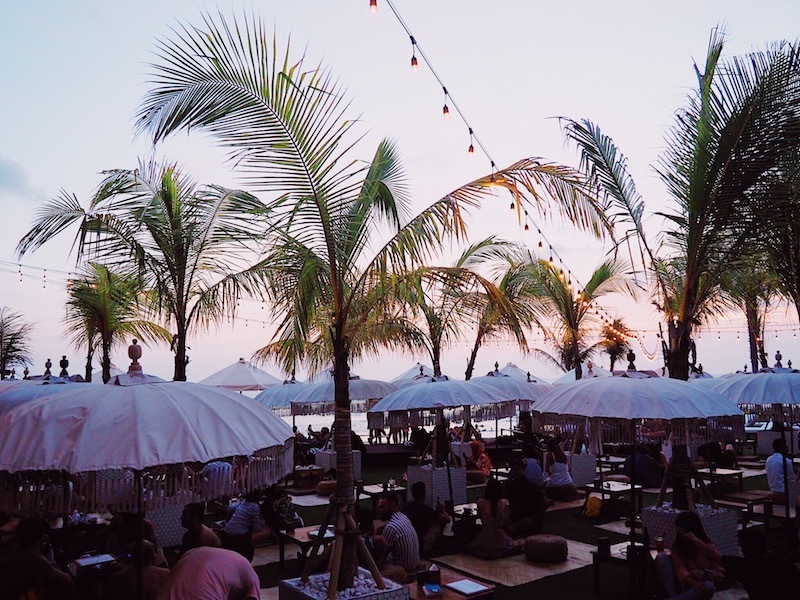 I won’t lie, it’s not the prettiest beach you’ll find in Bali but if you’re looking for a good co-working space, tasty food and ocean sunsets, Canggu ticks all those boxes! 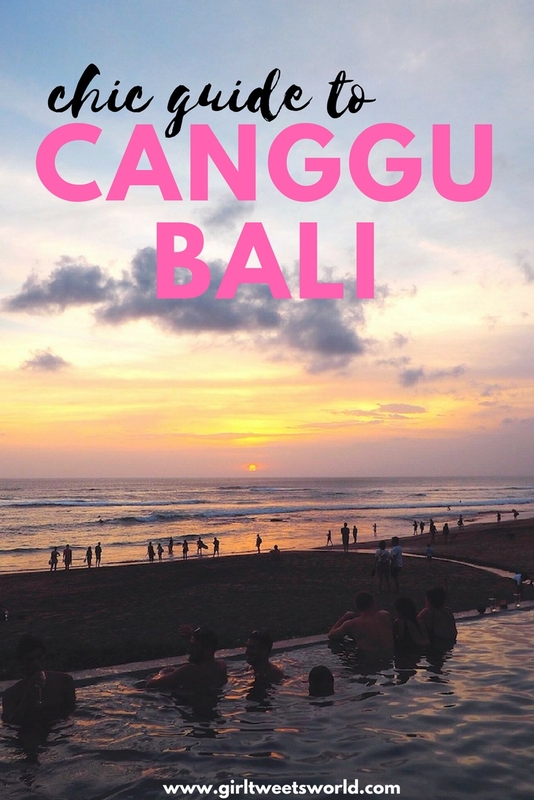 Going to Bali in about a month but I’m sad that we didn’t include Canggu in our itinerary. Good thing that I have plans of coming back before even I arrived! This post will be handy, too, for sure! Totally, there’s always next time! I’m currently planning my third visit to Bali and got my eye on Uluwatu this time – there’s so many great places on the island! Fourth visit even – I lost track! Canggu is such a lovely place. We were there a couple of years ago and managed to have a wonderful, relaxing time. Would definitely go back! Great post. I am hoping to head back to Bali soon and while I know Canggu quite well, this will come in handy – there is so much more to discover. I had lunch at The Slow on my last visit and need to stay there next time, what a beautiful place! 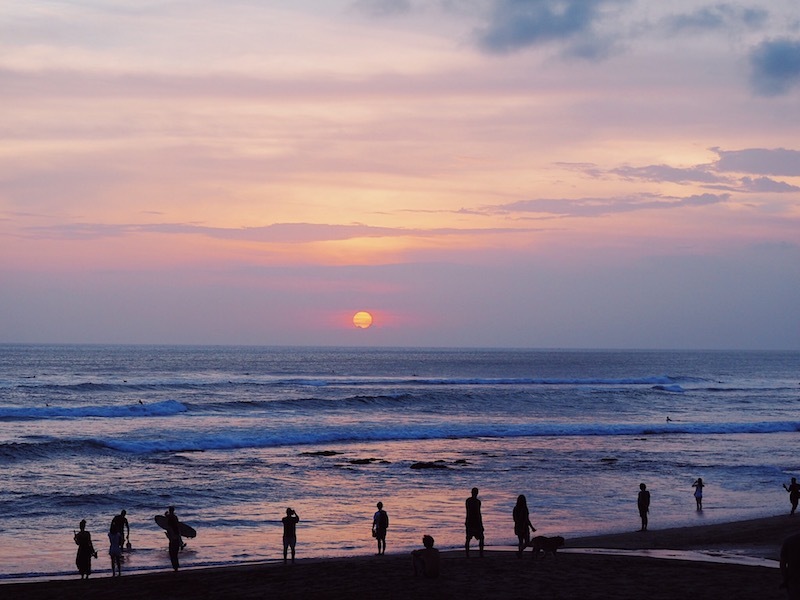 We are always looking for more reasons to go back to Bali – haven’t been to Canggu yet! Love the look of the cafe’s – I checked out Ithaka Warung’s website that you recommended – they seem to serve up their amazing looking meals in very unique bowls – would love to experience that, it looks fantastic. 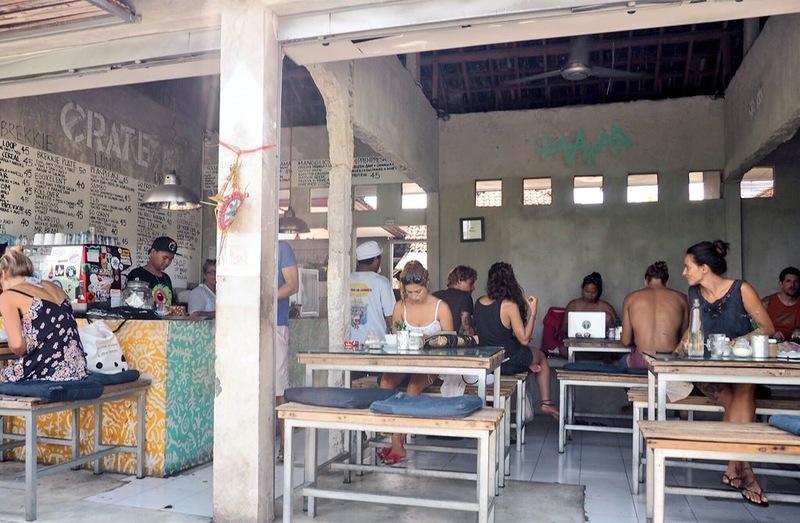 The food scene in Canggu is pretty hot right now! I love Canggu! The Frii Bali Echo Beach looks so beautiful, can’t beat pool access rooms. We stayed in a villa on our last visit but I’d love to be a little closer to cafes etc next time. Oh, I love your food experience in Bali. They look attractive and yummy. The architecture of cafe shops in Bali seems to be vibrant and cute. I’m so eager to land in Bali in November. Thank you for this post, I am planning on going to Bali soon, and this really helped! You’re welcome! Have a great trip. Hi we are staying in canguu in june 2019 for 7 days with our two young kids 5 & 8 ! First time Bali goers here our villa is a 10 min drive to the cafes etc how do you think we’d go on a scooter with the kids ? Is the traffic mad like the rest of Bali there ? Hi Kylee, the traffic is not as mad as other parts of Bali but the roads are just as dicey – if not more so. Some of the cut throughs get very narrow with rice fields/ditches either side so you may want to stick to main roads only! Perhaps scope out the route between your villa and the cafes in a taxi first so you know what you are dealing with. Have a great time!